If you asked me a little over a year ago what I thought about Moon Knight, my response would be somewhere along the lines of “Oh he’s Marvel’s Batman rip off, the crazy guy right?” because the extent of my knowledge was really limited to a few team up issues between him, Spider-Man and Punisher and some very basic character info. That changed very quickly, once I began reading Warren Ellis’s run on MOON KNIGHT, with Declan Shalvey as the artist. At this point, I crave stories about the character and dream of seeing him join the Marvel Cinematic Universe, because he is such an underrated character. I think it’s safe to say, I’ve officially joined those in the cult that has been the Moon Knight fanbase. For those who are unaware of this particular character, Moon Knight was first introduced in WEREWOLF BY NIGHT 32, in 1975 and has since held C-list status at best, within the mythos of Marvel. 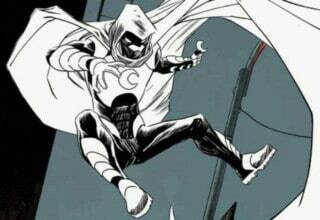 Moon Knight, real name Marc Spector, is an ex-mercenary who was killed during a mission gone awry in Egypt, “dying” under a monument of Khonshnu, the Egyptian moon god and protector of night time travelers. It is under this monument that Spector is revived by Khonshnu and begins his career as the hero Moon Knight. However, this is also where things get…vague. During Moon Knight’s 40 years as a character, a lot of what makes this character “unique”, has been left to speculation and question. Marc Spector is plagued with DID or dissociative identity disorder, most commonly known as multiple personality disorder. Because of the character’s mental short comings, the majority of the most iconic Moon Knight story arcs, are heavily focused around Spector’s insanity. This leaves the reader to question whether he was truly revived by a god or is Khonshnu simply an extension of his DID. Then there are Moon Knight’s abilities, which have also been fairly vague, from both the perspective of the reader and the other characters within the Marvel 616 universe, as well. 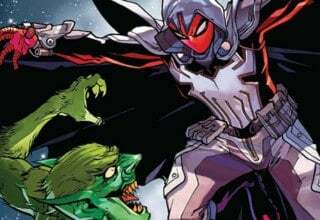 While Spector or Moon Knight is quite capable in terms of physical combat from his history as a former boxer and ex-CIA agent, his physical abilities in terms of strength, have increased or decreased depending on the cycles of the moon. Of course, it is still unknown whether he actually has any superpowers or if it is once again something brought on by his DID. The whole idea of vague speculation and a hero dealing with a serious mental condition is what makes him so different and sets him far apart from the other Marvel characters or, really, most mainstream comic properties. Imagine someone who uses the brutal justice of a Batman or Daredevil, but with the mind of essentially an unstable, crazy person. This is a character that cannot separate reality from his own mental delusions. This is where MOON KNIGHT NOW! 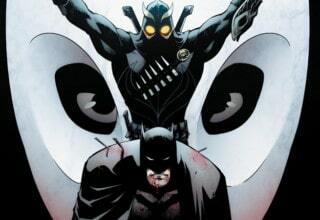 comes in and how it, in my opinion, has fully utilized the uniqueness and colorful character traits that make Moon Knight so entertaining and, really, should serve as the blue prints of any live action incarnation and any stories for Spector going forward. With only 16 issues total from the MOON KNIGHT series of Marvel NOW!, you’d expect, in the current generation of long drawn out comic arcs, that it would be almost impossible to spark such life in a fairly well-established character in less than a two-year run. 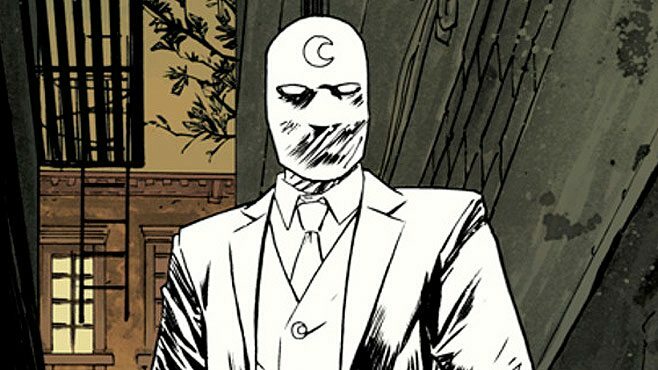 However, between Warren Ellis, Brian Wood, and Cullen Bunn, the man currently at the helm of MOON KNIGHT, each writer has brought about their own vision for the character and has been able to weave it into something much larger for MOON KNIGHT as a whole. 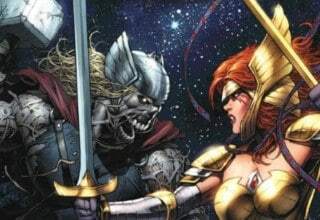 During Warren Ellis’ time on the series, he took simple, linear stories with the goal of the protagonist, Moon Knight, accomplishing a basic goal with little else needed as far as the plot went. The stories resembled going from point A to point B, with little in-between, but created an entertaining and engaging story from the first page to the last. He focused on various aspects of the Moon Knight mythos, such as his insanity, his wealth, and the abstract/supernatural, and dove into the character’s history on more than one occasion in the six issues that he wrote. 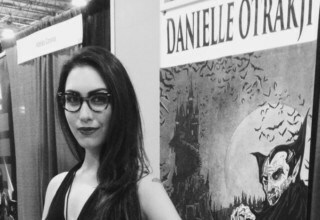 Ellis took a series originally meant only to be temporary, and created worlds within each story while making it easy for a reader with no knowledge of the character to jump right in without hesitation. He created perfect single-story issues that both long-time and brand new readers could enjoy and feel a part of, one of which was a superbly gritty homage of Patrick Hughes’ film The Raid, which followed Moon Knight decimating villains within an abandoned building, physically brutalizing them each new level of the structure he reaches. Another was a trippy, almost LSD-infused journey into the dreams, or really nightmares, plaguing an individual whose dark secret has recently revealed itself. All of these books are beautifully rendered by artist Declan Shalvey, who brings life to these scripts. Shalvey’s work with Ellis is by far some of the best and most cohesive comic book team production I have ever seen. The way Shalvey is able to bring Ellis’s writing to life, in such a wild and creative way, is something spectacular. To be honest, some of his art pieces are some of the best art work, that I’ve ever seen and are by far some of my favorites. Issues 1-6 were then followed by writer Brian Wood and artist Greg Smallwood, who had some big shoes to fill in their own six-issue run on the title. At first, I was nervous as to whether those shoes would be filled and was ecstatic that not only did Wood and Smallwood fill them, they did so on their own terms, without carbon copying their predecessors. They crafted their own take on the character, but didn’t deviate from what people loved about the previous six books. While Ellis took single issues stories, Brian Wood built a short series arc, following a larger story over MOON KNIGHT 7-12. Ellis introduced the character, while Wood took that introduction and fully immersed himself in the character’s lore. Touching on everything from mental encounters with Khonshnu, Wood explored Spector’s DID through interactions with a doctor and even Spector’s own turbulent history and personal struggles. 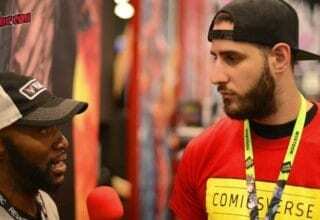 Wood explored what makes Moon Knight Moon Knight and engaged those aspects of the character to their fullest. 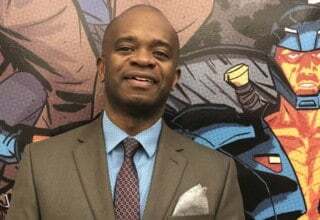 However, Woods’ story was not to be overshadowed by the talented artist Greg Smallwood, who in the same way Shalvey brought Ellis’ work to its highest potential, did the same for Brain Wood. Smallwood took each panel and made it his own, turning these stories into visual masterpieces and almost stop-motion animation pieces. In one example, Smallwood follows Wood’s script, telling the story through cameras of all sorts including security, phones and media outlets, presenting the book in a very different POV than the usual comic. In another instance, Smallwood turns an entire page into 20 or 30 panels, displaying an entire action sequence and capturing every moment in vivid and minute detail. 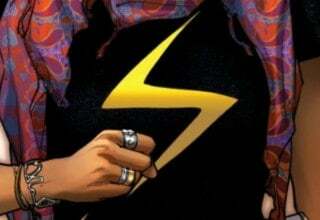 The ability to capture the Marc Spector character over the course of only six issues, as well as telling the story in unique and different ways, set them apart from the previous team and allowed this property to grow in new ways. As far as the current team of Cullen Bunn and German Peralta, I have yet to be able to make a deep and critical opinion about them, simply because they are fairly new in their own run on MOON KNIGHT. 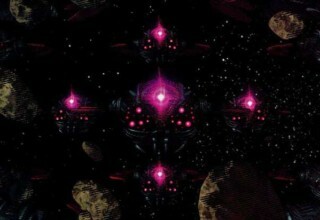 I would like to allow them the time, in order to craft their own legacy on the character, as well as within the series. That said, I have quite enjoyed Bunn’s take thus far, who is exploring the relationship between Marc Spector and Khonshnu, as well as Moon Knight’s responsibilities as the avatar of the moon god and the protector of nighttime travelers. Bringing this to a close, for a series that was originally meant only to be something temporary, MOON KNIGHT has reshaped one of Marvel’s most underutilized and underrated characters. 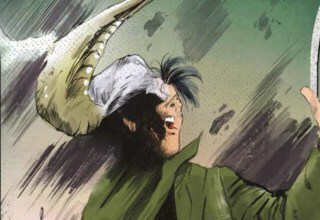 The series explored a hero, whose weakness is not family, friends or even a green rock, but rather his own mental state and psychosis. Through talented writers and exceptional artists, I would argue in 12 issues, the entire character of Moon Knight was given new life and reshaped in a fashion, that needs to be taken advantage of in all things Marvel. Whether it is through a resurrection of the WEST COAST AVENGERS title, more involvement within larger Marvel events, or even a live action role within the MCU, either as a cameo or series on Netflix, Moon Knight needs more exposure. The character’s history, personality, and just general uniqueness, in terms of what makes up Moon Knight, is something still untapped by Marvel. I can only hope that the same way the Iron Man film brought the character from relative obscurity, to the A list of heroes, Moon Knight can eventually be given the same opportunity. Keep an eye out for more from Chris Massari! Previous article Batgirl #41 Review: Meet The New Bat, Same As The Old… Dad? Moon Knight is the character that got me into comics. He’s been my favorite character since I was 11 years old. While I wouldn’t mind seeing a movie, he’d work best in a TV series because of the complexity of the character.